Phoenix Bioidentical Doctor, Dana Keaton, N.M.D., L.A.C. is a Naturopathic Physician and Acupuncturist licensed to practice medicine and acupuncture in Arizona. Doctor Keaton spent ten years in medical research after completing her pre-medicine degree. She then completed National College Naturopathic Medicine’s four-year program and attended a three-year program in acupuncture at Oregon College of Oriental Medicine. Her internship was at National where she was also Director of Research. Her residency program was at the A.R.E. Family Practice Clinic in Phoenix. She has practiced naturopathic medicine and acupuncture since 1988 and has been in private practice as the director for the Center For Natural Medicine in Central Phoenix since 1991. She is a founder of the Southwest College of Naturopathic Medicine where she developed the nutrition program and now teaches oncology. Doctor Keaton first became interested in the treatment of cancer while at the A.R.E. where the inpatient program drew patients from all over the country looking for more balanced approach to their illness. She has developed programs to support patients undergoing conventional treatments for their cancers. As a Phoenix Bioidentical Doctor, Dana Keaton, N.D. at the Center for Natural Medicine is well known in the Valley for her expertise in treating cancer and hormonal difficulties. She is a frequent speaker on menopause, thyroid problems, and cancer prevention. Many patients seek Doctor Keaton’s expertise not only because of her excellent medical skills and knowledge but also because she will listen. She will speak to the spiritual and emotional aspects of illness when needed as well as the physical issues. She offers the comfort of an old fashioned family style doctor with the very latest in medical training. Doctor Keaton is medically trained in the use of estrogen and medical evaluation as well as trained in herbal treatments and homeopathy. Phoenix Bioidentical Doctor, Dana Keaton, N.D. at the Center for Natural Medicine first began her investigation of the use of Bioidentical Hormones while still in medical school. She was one of the first physicians in Arizona to begin using this form of medicine. 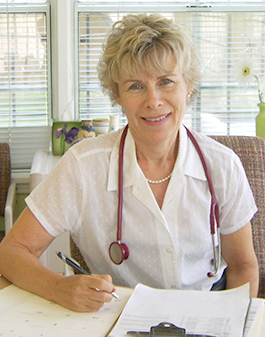 She has been a frequent public speaker on Menopause, thyroid, and adrenal health. She completed her residency in Naturopathic medicine and general practice in Phoenix, AZ before starting her own clinic. Doctor Keaton is a co-founder of the Naturopathic Medical School in Arizona where she designed the initial curriculum and taught future physicians. Doctor Keaton was one of the first Acupuncturists to achieve licensing in the state of Arizona. As director for The Center for Natural Medicine, she continues to take students for her specialized training in hormone prescribing and alternative therapies. As a Phoenix Bioidentical Doctor, Dana Keaton, N.D. has helped countless patients to regain their health and wellness. Call Phoenix Bioidentical Hormone Therapy Specialist, Dana Keaton, N.D. at 800-775-4902 Ext. 353 to learn more about bioidentical hormone therapy and the other services offered at the Center for Natural Medicine.